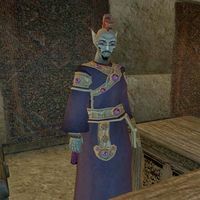 Mandur Omalen is a Dunmer trader who has set up shop at the Redoran Stronghold in Molag Mar. There he sells a wide array of general goods. This page was last modified on 24 January 2014, at 04:10.